When it comes to reaching customers online and convincing them to purchase your products and services, trust is a major factor. Customers aren’t going to do business with a company they don’t trust. And while there are plenty of ways to establish trust, website testimonials play a significant role. In order to understand the value of testimonials, you have to put yourself in the shoes of the customer and think about how they approach the purchase process. Today’s customers are savvy and understand that brands use biased marketing and advertising tactics to influence their choices. But what they really want is to cut through all the fluff and find the truth. They’re tired of hearing what you think and crave the opinions of their peers. Testimonials give customers direct access to objective feedback from their peers in an unintimidating format that’s relevant and informative. They represent one of the strongest forms of social proof that a marketer has in his arsenal. But why is it, then, that only a fraction of businesses take the time to develop testimonial pages and really emphasize them in the sales funnel? “As an informal observation, I think it’s because many of us have a difficult time attributing growth to showcasing what our customers say, when it’s so much neater to equate growth with something less sentimental – like an ad spend,” conversion expert Marie Dean believes. However, if you take the time to review the numbers and apply common sense to testimonials, it really doesn’t take much to quantify value. As one set of data shows, on websites with customer reviews, 63% of visitors are more likely to purchase something. Even more impressive is the fact that reviews lift sales by an average of 18%. While it might be somewhat difficult to attach a specific value to testimonials, that doesn’t mean value is non-existent. Many would argue the opposite. They would say that testimonials are one of the single most important elements on a company website. The average individual has become increasingly savvy in how they shop over the last couple years. No longer do they search for a product and buy from the first website they see. Online customers are modern-day sleuths, searching for the best value and cross-referencing products and vendors until they find the right fit. If you don’t have a compelling testimonial page that establishes trust with your audience, you’ll never enjoy consistently high conversion rates. The very first rule of developing a customer testimonial page is to never fake anything. While you may be tempted to create a fictional testimonial or add/subtract a few words from some client feedback, it’s imperative that you avoid stretching the truth in any form or fashion. Not only will a fake testimonial totally ruin your credibility if you’re ever ousted, but most don’t satisfy the eye test anyway. They’re generally easy to spot and then call into question the other legitimate reviews you have on the page. It’s easy for a page of customer testimonials to become stale. Since improved conversion rates and higher sales can both be directly equated to an effective testimonial page, you want to be sure that you’re keeping visitors engaged. One of the best ways to do this is by mixing things up. The testimonial page from credit repair agency Lexington Law is a really good example. 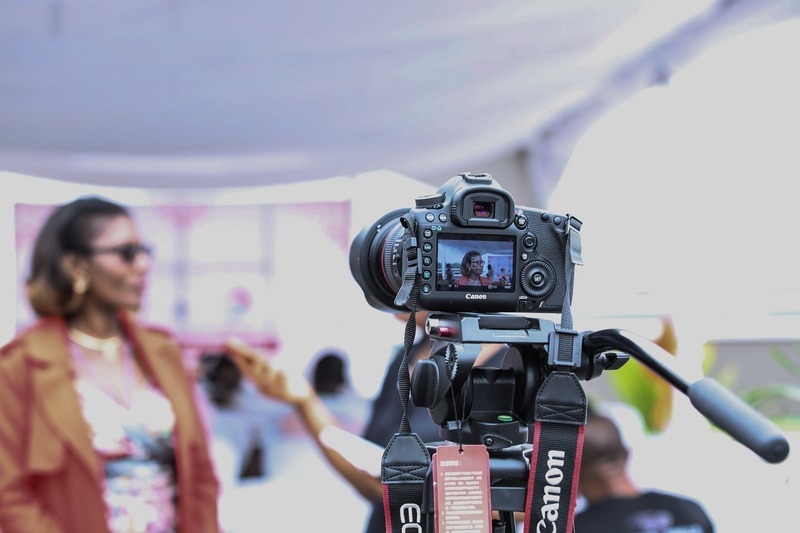 While keeping things simple, they present both written testimonials and professionally produced videos to enhance the validity of their feedback and appeal to diverse customer preferences. Your testimonial page can only be as good as the testimonials you actually have, which is why you need to place an emphasis on collecting feedback from your customers and clients. The more specific your customer testimonials are, the better. You want people to read your reviews and clearly see how the feedback relates to them in their specific situation. Utilizing testimonials with specific data points is one way of doing this. The testimonial page from CRM vendor HubSpot is a perfect illustration. In many of their testimonials, clients say things like “lead flow has increased 300 percent” or “we have grown organic traffic by 450 percent.” Concrete information like this adds a ton of value. Are you familiar with the Halo Effect? It’s a simple marketing and advertising principle that states recognizable brands make the things they endorse look better. In other words, if you have other recognizable brands using your products or endorsing your services, it’s smart to associate your brand with them. Lilly Lashes, which produces and sells fake “luxury” lashes, has mastered the use of this principle. Their testimonial page really isn’t a testimonial page at all. It’s simply a Halo Effect page that shows visitors which celebrities have used their products. Customers then associate these celebs with the product, which serves as an unofficial endorsement. Your customers want to trust you, but are you making it easy on them? Your customers want to believe your marketing claims, but are you providing them with enough unbiased information to verify your statements? Testimonials aren’t perfect, but they offer businesses a unique opportunity to build trust and strengthen relationships with customers who are savvy and analytical in the way they approach online shopping. It’s time that you give your customers what they want. Work to prioritize testimonials in the form of a compelling and accessible testimonial page. 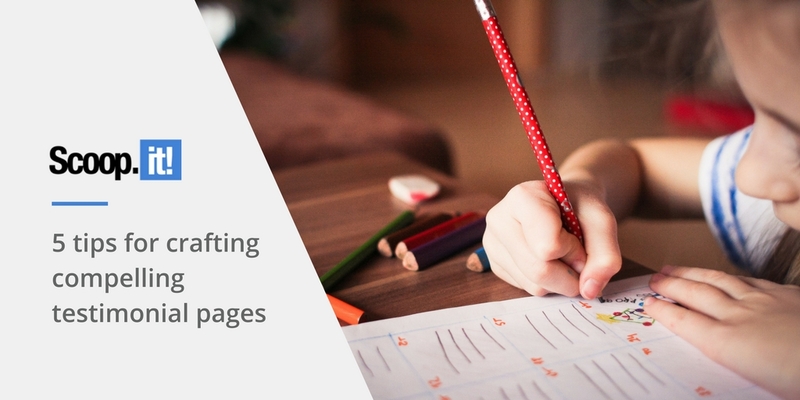 1 Comment on "5 tips for crafting compelling testimonial pages"
Actually, it’s all about inspiration. All you need is a really good, fresh idea. When you’ll have it, everything will go smoothly.